“Branding is dead!” “Long live branding!” Our relationship with the construct of branding is a little sketchy these days. In fact, data from Edison Research’s Infinite Dial study shows that over a third of Americans age 12 and up knowingly follow brands on social media. The “marketing megaphone” we use to tell our stories continues to change dramatically as new networks like Snapchat and Instagram gain in popularity, but these new forms of media still require strong brands behind them. 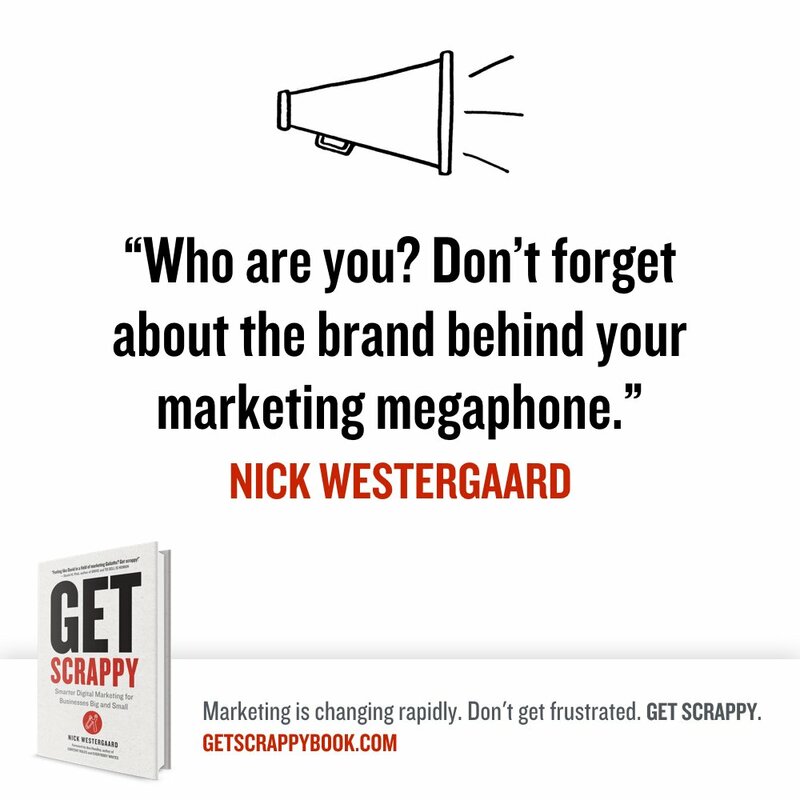 How can you ensure that you’ve built a strong brand behind your marketing megaphone? Conversations about branding are tricky, as they often dissolve into navel-gazing, academic exercises. 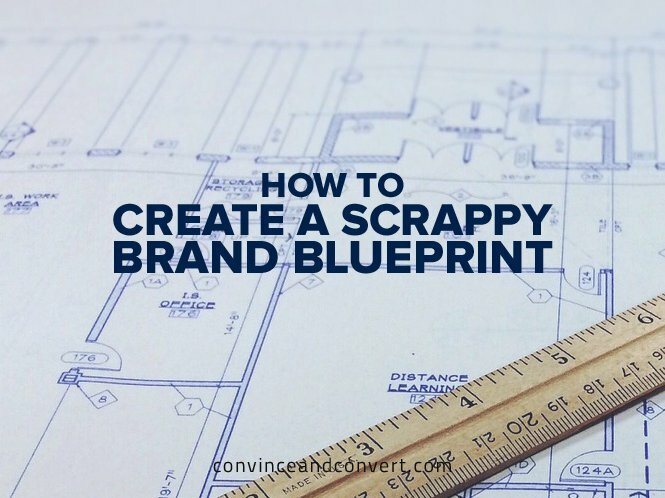 Brand building, like building anything, starts with a blueprint. Just as an architectural blueprint defines structure through design and dimensions, a brand blueprint defines who your brand is and how you tell your story. Like the girders of a skyscraper, you can’t always see your brand, but it’s what the rest of your work stands on. Let’s take a look at a scrappy, five-part brand blueprint you can use to make sure you’ve built a strong brand with something to say online. As the label suggests, your brand’s spark ignites everything you do. It’s usually a single keyword, such as “helping” or “innovation.” This is not a public-facing piece of your brand DNA. Rather, it’s an internal touchstone that anchors all of your activities. Ben & Jerry’s spark is social justice; it informs everything about their ice cream. In the end, you should be left with a simple word (or two) that exemplifies your brand’s purpose and passion such as helping, innovation, or social justice. Remember, it’s your brand’s fire. Only you know what kind of spark it requires. Thrilled to be joining #DemocracyAwakening in Washington DC to fight for a fair and inclusive democracy. More details at link in profile. More than a slogan, tagline, or mission statement artfully placed under your logo, a brand promise defines your ethos. Instead of being a message about you, it’s a promise of what you’ll do, and for whom. Zappos was built on founder Tony Hseih’s desire to deliver happiness, as his book of the same title states. This promise is a philosophy anchoring all of Zappos’ brand communications with the promise that they are “Powered by Service.” Their brand promise is one of service, not shoes. Brand strategist Justin Foster has a simple definition of a brand promise: “It’s the leadership team’s promise for how they’ll treat the people that touch their brands.” What promise will you make to your people? From Thomas Jefferson (life, liberty, and the pursuit of happiness) to Apple (thinner, lighter, and faster), great communicators tell their stories with three key ideas. Whether you opt for a short story arc with a beginning, middle, and end, or a series of benefits, or a philosophy, you need to have an understanding for what your brand’s narrative is. For example, GE tells us a consistent story in three words: “Imagination at work.” Everything GE posts, from Instagram photos to innovative videos, is in service of this story. Your story is ultimately told through the final two components of the brand blueprint: your voice and visuals. Whether it’s a 140-character tweet or a 140-page ebook, words matter more than ever in marketing today. What does your brand voice sound like? Beyond specific words, your brand voice also directs how conversations are framed. 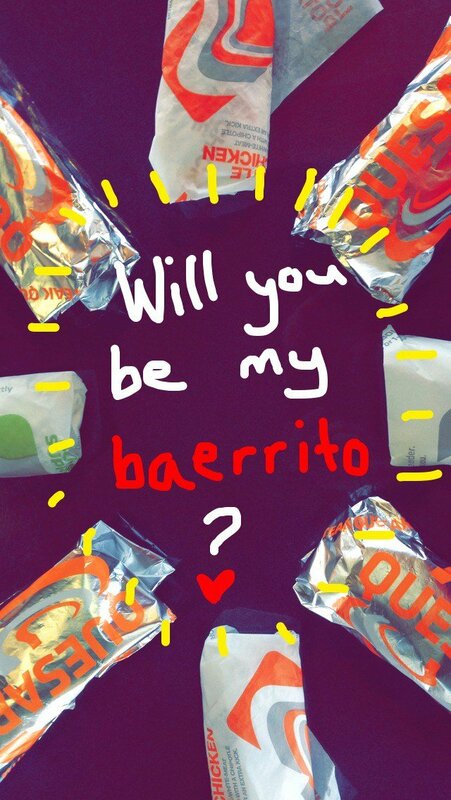 If yours is a people-focused brand, you might remind those speaking on behalf of your brand that they should humanize things whenever possible and talk about “our team” or “our people” or “the people we serve.” Some brands are more formal in voice, while others embrace humor and wit, as Taco Bell does on Snapchat. What does your brand sound like? Take a moment and brainstorm personality traits that best describe your brand’s unique voice. Make sure this is clearly understood internally by all who communicate on behalf of your brand. Beyond your logo, your visual brand includes icons, colors, visual movement, patterns, and more. The point here is to have a visual bedrock in place to avoid situations where you need a Facebook cover photo or an intro slide for a YouTube video, and someone just grabs a random picture. These online spaces are all opportunities that help reinforce your brand. 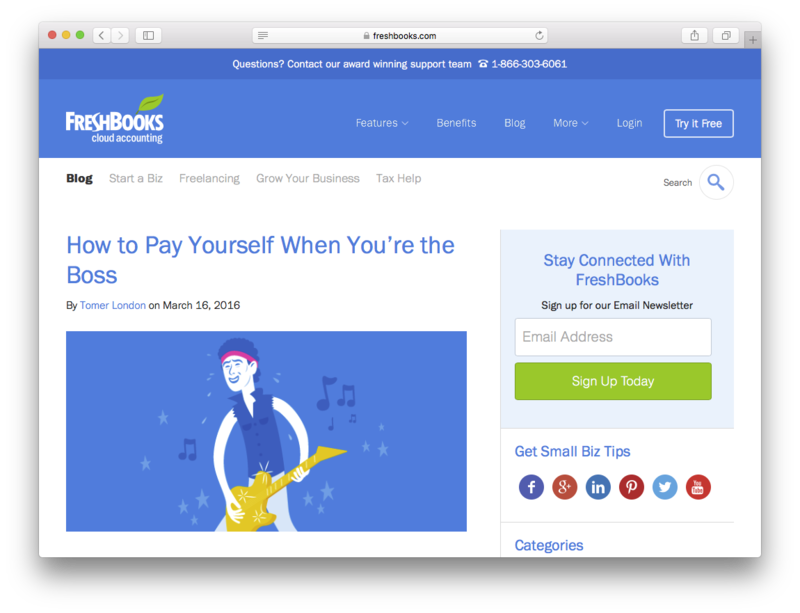 For example, cloud-based accounting software FreshBooks takes great care in created branded images for their blog content. While they know that the blog carries all of this branding, it helps their content stand out when it’s shared on off-site outposts such as Facebook and LinkedIn. Branding: Your logo plus general identity style guidelines. Color considerations: Many online platforms allow you to customize your design and colors; be prescriptive with what’s on-brand and what’s not. Photo recommendations: If you have original photos that should be used or preferred stock resources, point to them. Technical considerations: If your brand can be nothing more than a small, square avatar, what should it be? If you layer cover photos and avatars, as Facebook, Twitter, and LinkedIn allow, what should that combination look like? Narrative considerations: How is your brand’s story depicted throughout your communications? Work on developing unique visuals that help you relay your brand’s sacred words. Is that it? Not by a longshot, but having a blueprint established that you can share with your team allowing you all to get on the same page with your marketing is invaluable. As you build your brand’s presence online and off, this will help you do so in a clear and consistent manner. Clarity and consistency are the scrappy marketer’s friend as they help you integrate your messaging and, ultimately, do more with less. Branding is dead. Long live branding!